1. independent mono balanced transmission amplifier structure,completely eliminate the problem of dynamic crosstalk. 2. the signal input circuit by the FET cascode differential amplifier, the famous transistor differential voltage amplification, the final stage consists of 24 high-power transistors form a powerful lineup output level, and easily promote as low as 2-ohm impedance speakers. 3. power supply section by 1500W ring transformer, 120,000 microfarads of electrolytic capacitors, with a huge aluminum radiator, so that the positioning of the sound field, sound clarity, such as performance has greatly improved. 4. 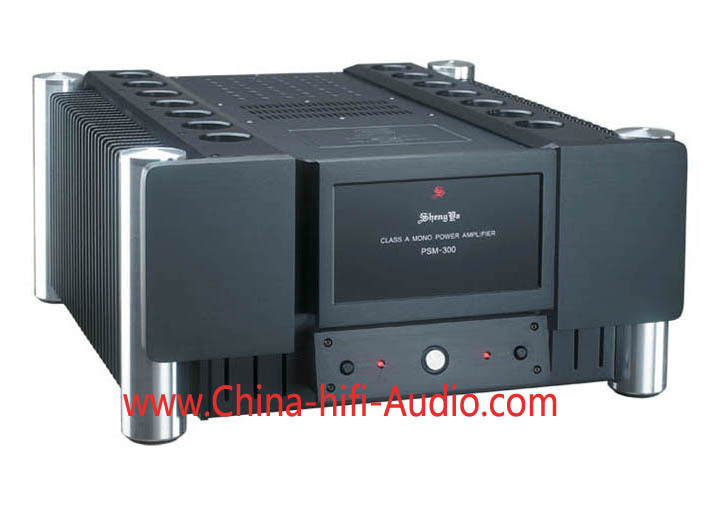 100W CPI output sound delicate Yun thick, large dynamic potential of the powerful pull of mountains and rivers. 5. increase the choice of balanced and unbalanced signal input can be connected to two different sound preamplifier. 6. A or class AB output state can be set, both for the convenience of the sound fine-tuning can also reduce power consumption. 7. Design to reflect the content of products as the main purpose, rich in detail and elegant, every detail from the inside out, descending derived, naturally brilliant and unpretentious. Boldly installed the world of today's one silver with black, and decorated with a small amount of aluminum metal color components which not only enhances the visual impact, allowing Black to produce an unprecedented charm; steady domineering, the overall details of the relationship between interpreted wonderful, wonderful, very engaging and luxurious temperament revealed in eternity.